Welcome to the second day of World Health Worker Week, where we here at HAI are taking a look at the many ways health workers – who are on the front lines of some of the world’s most pressing health challenges – work tirelessly to provide critical health services to those that need it most. You can catch up on yesterday’s post here. Source, WHO. Click on photo to see original. According to the WHO, unsafe food – containing harmful bacteria, viruses, parasites or chemical substances – causes more than 200 diseases, ranging from diarrhea to cancers. This can lead to an estimated 2 million deaths, many of which are completely preventable. We’ve been thinking about this theme in relation to World Health Worker Week, as it’s generally health workers who will see the situation when things go bad. When people get sick from unsafe food, they head for a health facility and depend on that health facility to be well staffed and well stocked. Unfortunately, this is simply not the case in many countries. 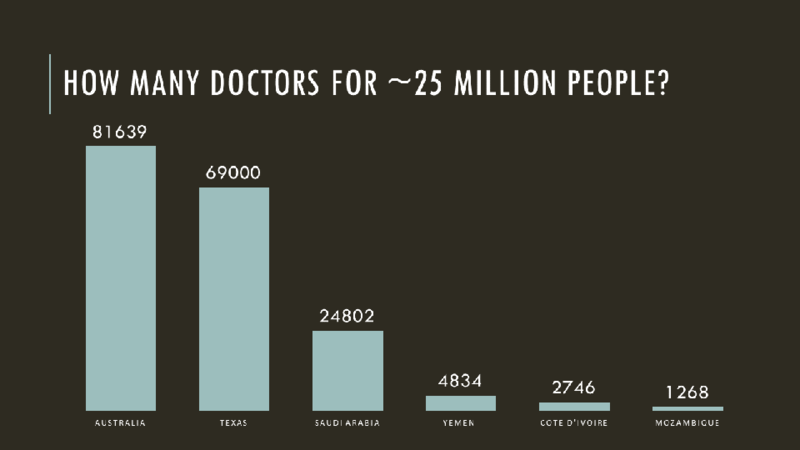 In a recent TEDx talk, I took a look at how many doctors there are for a country or state of about 25 million people. I chose this number because it’s the approximate population for two HAI countries, Côte d’Ivoire and Mozambique (give or take a million or so people). What I found out was pretty shocking. Mozambique has less than 2% of the doctors that a richer country like Australia has. Côte d’Ivoire isn’t much better, clocking in at a little more than 3% of doctors for the same number of citizens. The inequality is striking, to say the least, but it’s also deadly. It’s why when someone gets a bad case of food poisoning in rich countries, they might feel bad for a few days and eventually recover. But in a low income country like Mozambique or Côte d’Ivoire, the stakes are much, much higher than a bad stomachache. 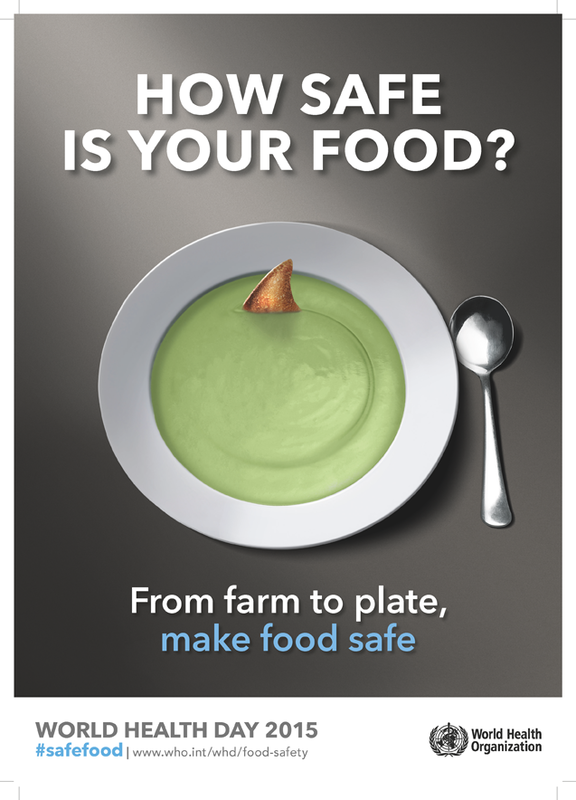 Unsafe food can mean life or death, especially for vulnerable populations like pregnant women and kids. So that’s why, on this occasion of World Health Day, which falls right in the middle of World Health Worker Week, we wanted to draw your attention to the critical role that health workers play in making sure that people are informed about safe food in the first place, and then that they are there to take care of folks when they get sick. 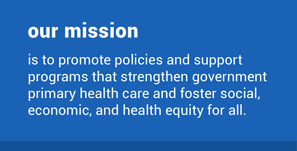 This is why we work so hard to advocate for greater numbers in the global health workforce and why we repeat so often that any advances in global health, whether it’s a new technology, a new drug, or a new way to administer one or the other – these advances are meaningless without a trained, skilled, robust workforce to implement them. Make sure to come back tomorrow, when HAI intern Farah Mohamed talks with a health worker on the front lines in Somalia. In the meantime, you can learn more about our programs in Mozambique, in Côte d’Ivoire, and our advocacy programs.